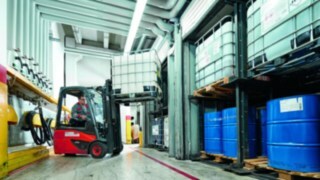 Exact material flow processes for a highly standardized forklift truck and warehouse truck fleet: Sika Deutschland GmbH, a subsidiary company of the globally active Swiss group and one of the world’s leading providers of construction chemical product systems as well as industrial adhesives and sealants, achieves this with an overall logistics concept which, despite customer-specific solutions, relies on standardization, focuses on a forklift brand, and leases devices on the basis of full-service leases. Sika Deutschland ranks among those companies for whom efficient and sustainable management is a priority. Yet the optimization of intralogistics is also firmly anchored in the company philosophy. One example is the production location Bad Urach on the edge of the Swabian Alb. Here raw materials that are largely obtained from natural sources are supplied in huge containers or casks and are processed as quickly as possible due to their high space requirements. Whatever comes out of production is brought directly to our joint warehouse in Stuttgart-Weilimsdorf and commissioned there, explains Michael Rath, plant manager at the Bad Urach site. Bad Urach does not have a warehouse for finished goods. 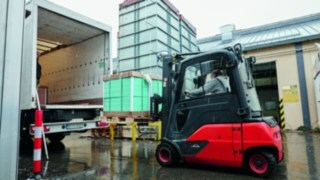 On average seven trucks per day dock at the loading ramps, further forklift trucks are loaded in the yard. In Bad Urach it is above all the cramped premises which consistently make life hard for the logistics managers. Narrow streets and little space for turning maneuvers are a persistent problem. 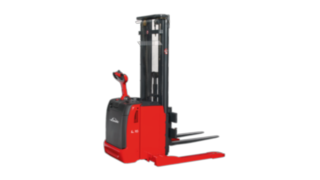 Other factors include limited load capacities as well as low ceiling heights and vertical clearance. The manufacturing process inside this historic building from the 19th century is split into two large product areas: One- and two-component adhesives and sealants for diverse industrial applications such as track systems, wind turbines, window sealing or refrigerated containers on the one hand and high-performance resin, panels and pastes for model and mold making of automobiles, yachts or airplanes on the other hand. One further particularity of the Bad Urach site is its location in the heart of the spa town. 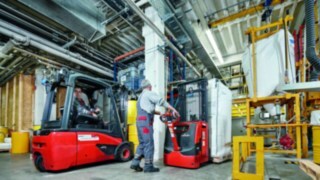 “Owing to our proximity to the town center we completely avoid using internal combustion forklift trucks,” reports Rath. “We meet the high environmental demands with secure processes and seamless monitoring. “To cover its electricity demands, the company is already harnessing the water power of the river flowing through the plant. “In the future we want to expand this share to around 40 to 45 percent,” explains the plant manager. The large product range presents a further challenge. “We have to react to this and to fluctuating production quantities with appropriate flexibility in our processes,” says Rath. Furthermore, certain production areas are subject to the ex-protection zone 1/21. In these areas, there is the risk that mixtures of air and combustible gases, vapors or mists, or combustible dust present in the air may form occasionally in the course of normal operation. Industrial trucks which are used there therefore require an EC type examination certificate for all safety-relevant components. a rental contract establishes clear responsibilities and we will always be using the latest technology. 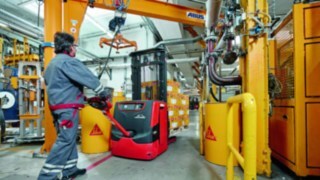 According to plant manager Michael Rath, the fact that Sika opted for Linde Material Handling as its general outfitter is down to both the close-knit service network of the Linde sales partners with Schöler Fördertechnik as the main dealer, as well as the easy handling of Linde equipment. “For us it was clear that we should involve our employees in the selection process. Decisions had to be based on technical criteria and facts though, rather than on gut feelings or cherished habits. 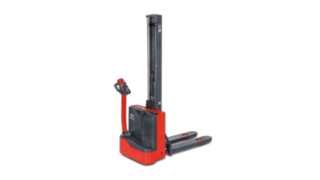 That’s why we asked our forklift drivers to fill out evaluation forms, for example, and why we subjected equipment from various manufacturers to intensive comparison tests,” says Rath of their approach. The end result was clear: at each plant the majority decided in favor of Linde. The fleet was then renewed step by step. The last device for now is an explosion protected pallet stacker with a shortened wheel base and special accessory equipment for grabbing and tipping open or closed casks. When this drum cradle for explosion protected areas is delivered in a couple of weeks, the project will have reached its provisional conclusion. “Despite saving six devices, we have achieved numerous improvements in our plant logistics processes,” summarizes plant manager Rath. This was ensured not least by the now significantly enlarged range of equipment and mounting variants as well as customer-specific solutions. 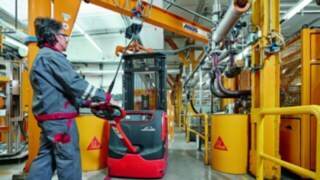 Around two-thirds of the total of 30 forklift trucks and warehouse trucks used in the plant are adapted to the particular conditions. 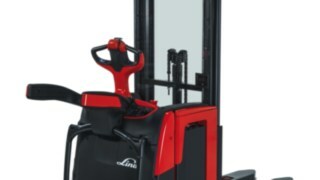 In order to transport the numerous oversized goods carriers and containers, some forklift trucks and pallet trucks, for example, have been equipped with extended prongs. A further material flow planning innovation, which has become established since 2013 with the replacement of the industrial truck fleet, is that casks, containers, and pallets are weighed in the same work step and transported to the respective destination. Continually improving our processes is very important to us. 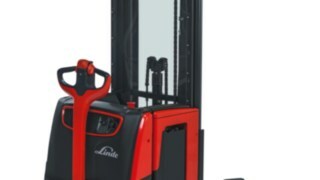 When the Linde fleet management solution ‘connect:’ goes live, this will present a great deal of potential. “We have already met the technical system requirements in the plant,” says plant manager Rath. The material flow managers anticipate further optimization of processes and increased safety during operation through features such as access control, shock sensors, and usage analysis in particular. 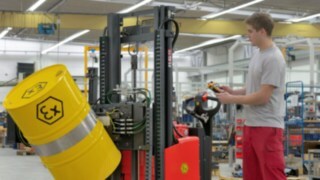 Data is transmitted from the forklift trucks to the company network via Wi-Fi. “In the future we would also like to use this data networking for anticipatory servicing,” says fleet manager Böhm of their plans. “In an ideal scenario, the equipment will send error messages directly to our service partner. When the service technician from Schöler arrives at the plant he will already have the right spare part in his equipment bag.” This means that the plant in Bad Urach will once again be the pilot site for an innovative solution for process improvement. 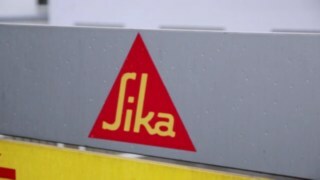 As a subsidiary company of the globally active Sika AG, Baar/Switzerland, Sika Deutschland GmbH ranks among the leading providers worldwide of construction chemical product systems and industrial sealants and adhesives with more than 1,100 employees and an annual turnover of some 545 million euros. Sika received the Premier Automotive Suppliers’ Contribution to Excellence (PACE) Award 2015 for the adhesive Sikaflex Ultra-High Modulus, which was manufactured at the Bad Urach site. The fast-curing adhesive is used, among other things, for the BMW i3 and i8 for gluing the Life module, the passenger compartment made of carbon-fiber-reinforced plastic, and the Drive module, the aluminum chassis. 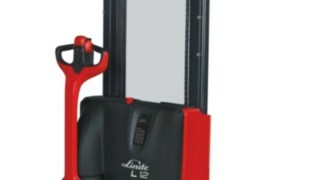 The L14 C pallet truck from Linde Material Handling transports various goods very quickly, precisely and safely. 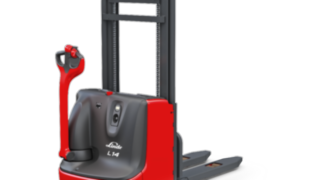 The counter balanced pallet stackers L06 - L16 AC provide optimal maneuverability where pallet stackers with support arms cannot be utilized. 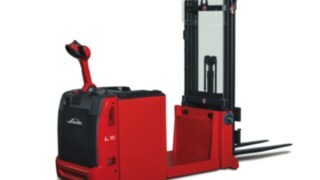 Agile, precise, cost efficient: The L10B, L10, L12 and L12 electro pallet stackers are the optimal solution for rapid pallet handling. Double load for higher productivity: pedestrian pallet stacker and double stacker for more productivity in everyday handling. 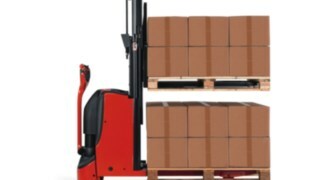 The ML 10 and MM 10 pallet stackers from Linde Material Handling can be used flexibly for picking, stacking and transporting. 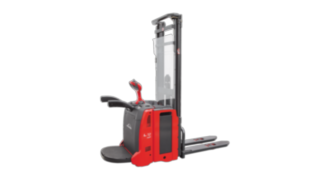 Agile for tight warehouse spaces: Compactness and traction make the D06 and D08 double stacker ideal for handling light loads in confined warehouse spaces. Sensitive lifting and lowering: The L12 - L14 AP/SP, D12 - D14 AP/SP double stackers combine precise load handling with efficient propulsion. 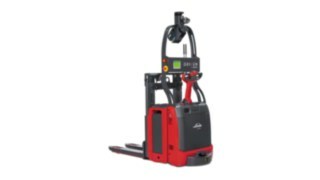 Easy shunting of high loads: Linde platform pallet stackers L14 - L20 AP increase operating efficiency with maximum handling safety.